What limits the amount of SPDT treatment received? SPDT and it’s follow-up treatments are non-toxic and therefore do no damage to the patients and can be repeated indefinitely. 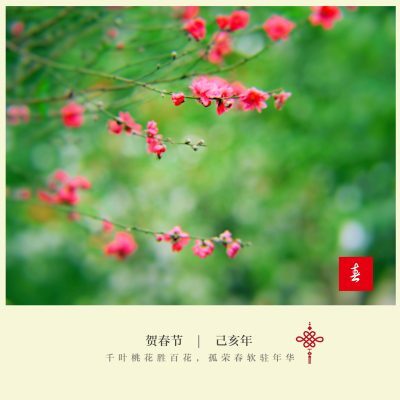 The only limiting factors are the patient’s financial resources and his or her willingness to spend the time required in China to receive the cancer treatment. This is markedly different from standard therapies for metastatic cancer – such as chemotherapy – where the amount of treatment received is usually limited by toxicity or lack of effectiveness – and patients may receive a sequence of increasingly damaging treatment before being told that ‘nothing more can be done’. What are the worst features of SPDT? What are the best features of SPDT? SPDT has a raft of best features, among them the results are often remarkable, sometimes miraculous. Patients experience minimal pain and suffering, it does not damage patients healthy cells and there are no long-term negative consequences. If we could routinely treat early stage patients, the job would be ‘hundreds of times easier’ and SPDT would, quite simply, revolutionise cancer treatment. There are three key reasons why SPDT may fail. Firstly, if a patient’s body is extensively damaged, either from previous treatment such as high-dose chemotherapy or the cancer itself, then in some cases the patient may have hit ‘a point of no return’. However, we have had great success with many patients who have late stage cancers and their bodies have been ravaged by treatment for years, so this is why we request each patient send us as much of their medical history – including scans and blood tests – as possible so as our team of experts can look at each patient’s individual case to establish if they think our extensive range of treatment options may be effective. 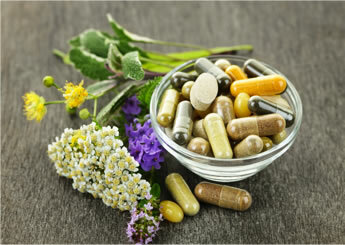 Secondly, patients may have other major health problems such as heart disease, liver disease or severe anemia. SPDT 4 LIFE takes a holistic approach to our patient’s health and focuses on correcting other underlying health issues as well as treating the cancer in the best way possible for each individual. However, if other chronic health issues are present they may take some time to correct, if that is possible, and this may make it difficult for our range of treatments to be as effective as they usually would be. Finally, patients may receive insufficient treatment. Minimal or no success could be due to the cancer being so slow growing that it does not take up the sensitisers, or patients may have multiple, large internal tumours like melanoma, which are difficult to treat. In such cases, long periods of treatment would be required. Not all patients will choose or be able to stay for the length of time required to complete the treatment. The cost of treatment and the time away from home and friends and family would be reasons that some patients choose to return home before the full treatment protocol has been completed. We all look forward to the day when SPDT is recognised by international regulators and more extensively covered by health insurance. Could it be said that the search for a cure for cancer is almost over? It’s irresponsible to talk of cures but what we can say is that most modern-day patients should live for a long, long time after diagnosis, if SPDT-based treatment is received while the cancer load is still low. In short, cancer should now often be curable and, where not curable, it should then be a chronic disease like diabetes, requiring ongoing monitoring and treatment. The best advice comes from SPDT 4 LIFE’s Professor Wang, who is on record for having said that if he could start SPDT treatment immediately after the first diagnosis, his job would be hundreds of times easier. Is cancer a chronic disease? Unless completely removed by surgery, it is highly probable that cancer is a chronic disease. SPDT may be curative for some early stage patients, but it remains true that people who have had cancer are at increased risk of a recurrence, as well as of developing new types of cancer. Your long-term prospects are very much better than you can expect from conventional treatment, with many of our patients alive and well years after receiving SPDT treatment. A major predictor of cancer survival is how hard the patient is trying to survive the disease. Many of our patients are very knowledgeable about the disease, which is why they come to us. And when they return home, they lead “anti-cancer” lifestyles. Those that don’t are obviously not as successful. What can I expect as SPDT treatment progresses? Symptoms generally abate as treatment progresses, with patients feeling better – and in some cases, remarkably better. Patients with lung cancer may experience less coughing and pain may recede, sometimes quite rapidly. 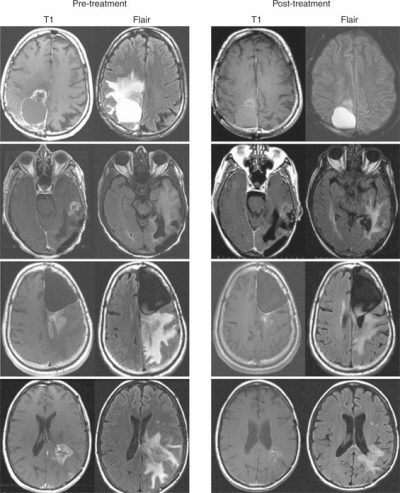 Tumors in accessible places may be seen to shrink and diagnostic test results will generally improve. Can the treatment be repeated and does cancer grow a tolerance to it? In most cases and with most patients, the treatment can be repeated indefinitely, unlike the more traditional and toxic treatments like chemo and radiation. With some patients, SPDT may stop working for no known reason. What are the risks associated with SPDT? There are three risks associated with SPDT – starting treatment too late in the disease process being the biggest of them. The others are conventional treatment received at home prior to SPDT and conventional treatment received at home after SPDT. SPDT poses no risk to the patient – it is a non-toxic treatment with no side effects. What are SPDT side effects? There is no evidence whatsoever of long-term damage caused by SPDT. For most patients, the greatest side effect is boredom and possibly fatigue. Furthermore, tumor areas may be tender and inflamed as the body clears dead cancer cells but this will subside as the cancer load drops. Low-dose chemo may produce modest side effects although they may be worse if you are very sensitive to it. Your skin may be slightly photosensitive (skin damage from sunlight) so it’s best to, as much as possible, keep out of direct sunlight. Does it matter if a patient has had prior chemotherapy? If this shrinks tumours, it may make the job easier for SPDT but it will damage the immune system may affect other key functions, expect it to degrade SPDT performance. Aggressive pre-SPDT treatments may be so damaging that they preclude survival. Your SPDT4LIFE oncologist may recommend low-dose chemo combined with SPDT, at a level sufficient to deliver synergistic benefits without causing unacceptable damage. Remember, you can reject chemo drugs if you wish, and some patients do, saying simply that they have ‘had enough’ chemo. Can SPDT be combined with conventional therapies? It can most certainly be combined with surgery and de-bulking treatment prior to SPDT. 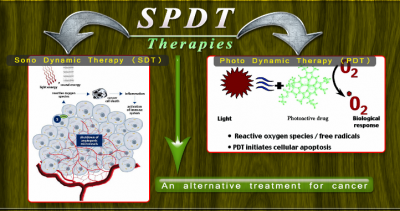 In general, SPDT combined with other treatments provides excellent synergistic benefits. Through our comprehensive range of testing, doctors will be able to identify the types of treatments that will be most effective for each patient’s unique cancer and will tailor a specific protocol best for each individual patient. Which clinical tests are useful? It depends on the treatment. If the treatment is not toxic, improved cancer marker tests, scans showing smaller tumors, improved symptoms and improved well being are all meaningful. In cases of toxic treatment, the only meaningful research results are the length of extra survival less the damage to quality of life caused by the treatment. Why does my oncologist tell me to get his treatment and stay away from unapproved therapies? Oncology in most countries is a highly regulated field and so doctors are extremely limited as to the types of therapies they can recommend – usually chemotherapy, radiation, surgery – and more recently immunotherapy. Making recommendations outside of this can get them in a lot of trouble – potentially even losing them their license – and they will not be covered by their insurers. Unfortunately, that means there are effective treatments that patients miss out on simply because their doctors cannot prescribe them. Logically these doctors will not spend their time researching treatments that they are not legally able to recommend to their patients, despite the fact there may be quality evidence to support their effectiveness. Furthermore, most doctors are not in the habit of sending their patients to other clinics – essentially turning away their customers. So they often find themselves in the unfortunate position of having to say to their patients – particularly those in late stage – there is not really anything we can do for you – or that chemotherapy is the only thing we can offer you – but it won’t save your life – it may just extend it for a few months. As one prominent Australian oncologist Assoc. 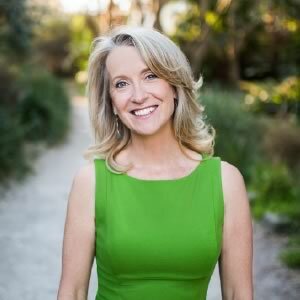 Professor Georgina Long recently said on the ’60 Minutes’ television program in Australia, ‘it’s very hard to sit in front of someone and say you’ve got a terminal condition and there’s not much in the tool kit. I’m really sorry.’ – but having to work within the limitations of their system that is often their only option. Sadly the options of chemotherapy, radiation and surgery are not great options, but they are usually all that most oncologists have. Treatments such as SPDT, HIFU, Radio Frequency Ablation, and our range of holistic therapies are non-toxic and have no dangerous side effects, so it is perplexing to us that whilst they are ordering toxic and harmful treatments to their patients that they are criticising other treatments that are less harmful, particularly since they usually have not taken the time to investigate these other options and have no knowledge or understanding of treatments they are criticising. Finally, the fact remains we can provide all the treatments that these doctors provide, but we can also do so much more and combine treatments to have a synergistic effect and attack the cancer from many angles. There is a lot more in our tool kit! Only we conduct comprehensive testing to establish what is the best form of treatment or combination of treatments for each patient, taking the guess work out of this critically important domain. What will my doctor know about SPDT? While it’s probable that your doctor knows little about SPDT, he or she should be familiar with PDT as it’s a treatment widely used by dermatologists and cancer clinics in tackling many skin cancers. The use of light waves to activate photosynthetic agents to heal the body, dates back to the ancient Egyptians, with first reports of its successful use to treat solid tumours, documented in the German medical annals in the early 1900s. Since then, hundreds of studies have confirmed its efficacy with US FDA approval granted to PDT in 1976 for the localised treatment of several stages of oesophageal and lung cancers. They may also know that PDT is limited by light penetration and incorrectly surmise that SPDT has the same limitations. Why is my GP skeptical about the therapy? It’s probably because doctors can’t possibly keep abreast of all medical developments and SPDT is no exception. Your doctor has almost certainly had patients who have received standard therapies for metastatic cancers, which have almost always failed, so he or she might struggle to appreciate why a new treatment should be any different. The truth is most people are content to receive standard therapies. They have such faith in their medical practitioners, to the extent that they would not consider looking elsewhere. Patients often have blind faith in their doctors and believe they are the experts and in desperate times cling to what these perceived experts tell them. In reality, they cannot possibly know everything – no one does. Moreover, cancer may be their first experience with chronic illness, all their previous experiences having been with acute illness, where standard medical treatment performs well. Another factor is that most people don’t have the financial resources to consider treatment not partly or wholly covered by their state or private health insurance. And as we’re often too fearful to think clearly when faced with a nasty, life-threatening disease like cancer, it is understandably difficult to make good treatment decisions. Furthermore, it takes a lot of work to find and evaluate treatments such as SPDT, which probably explains why patients at SPDT4LIFE’s SPDT clinics are often remarkably knowledgeable. If it’s so good, why isn’t this therapy more readily available and encouraged? It takes an incredibly long time for new medical treatments to reach the public. By way of example, despite being approved by US regulators 30-plus years ago, the Peter McCallum Institute in Melbourne, Australia was only able to introduce PDT to treat basal cell carcinomas a few short years back. That’s a travesty as this treatment can successfully replace skin surgery, to the enormous benefit of the patient. We have plans to open other SPDT 4 LIFE Holistic Cancer Treatment Centres around the globe, unfortunately, this will take time, in the meantime our Chinese location is able to help patients who are able to make the journey. Does health insurance cover or contribute towards the cost of SPDT? As this will depend on your health insurance fund, you are encouraged to contact your health insurer. Over time, we are confident that health insurance funds will appreciate the real value and benefits of this cancer therapy and eventually cover the bulk of the costs. The absurdity of people locked out of lifesaving treatment because they lack money will eventually be noticed, particularly as insurers already cover the costs of an enormous amount of standard cancer treatments that are always expensive and damaging and largely ineffective. What can I do to improve survival odds? The best approach to improve survival odds is to get SPDT treatment as soon as possible after surgery. Our records show that the very few early stage patients who receive SPDT are cancer-free for years after treatment. It is logical to deduce that the more early stage patients to receive SPDT, the greater the likelihood of spectacularly improved outcomes. 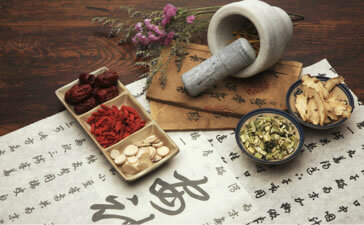 Following our Holistic Treatment Plan is also highly recommended. Have the Genomic Wellness Test, Gut Microbiome Test and Food Sensitivity Test done to establish what is the best foods for you, to boost your immune system and to eliminate inflammatory and cancer enhancing foods from your diet. Get your gut health right – correct any dysbiosis in your gut as 80% of the immune system is in your gut – so this is absolutely critical for cancer patients. Correcting the gut dysbiosis and ensuring your microbiome is optimal can boost your immune system and help to correct many health conditions. Start an exercise program with a qualified oncology trained exercise physiologists ASAP, reduce your stress levels through meditation, yoga, qi gong or other relaxing activities such as walking or massage. There are many things that you can do and our manual (soon to be released) will help educate and guide patients as to what they can do to eliminate cancer-causing practices from their lives and replace them with cancer-fighting practices. There is a lot that can be done and the team at SPDT 4 LIFE is only too happy to point you in the right direction and help you if you have any questions.